There is a lot of speculation surrounding Widnes and Catalans players in this week’s trade papers. Warrington Wolves are said to be keen on Widnes Vikings centre Krisnan Inu for next season, report League Weekly. The 28-year-old has been a standout for Widnes this season and with it looking likely that the Vikings will be relegated this year, his contract would then be deemed null and he could go to Warrington as a free agent in the off-season. 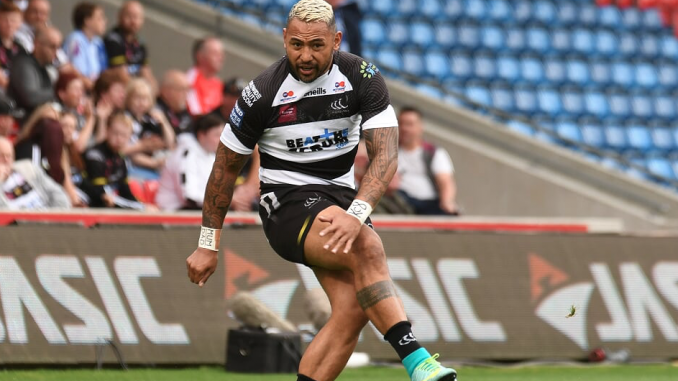 There is interest from a number of clubs in Super League for the ex-New Zealand and Samoa international, with Warrington an interested party, according to League Weekly. Josh Drinkwater will leave Catalans Dragons at the end of the season after what he describes as a six-moth rollercoaster ride in France, report League Express. Salford Red Devils and Hull FC are ready to rescue Anthony Gelling’s Super League hopes by taking him off Widnes Vikings, report League Weekly. The 27-year-old has signed a contract with the Vikings for next season from NRL side New Zealand Warriors. Salford insiders have told League Weekly that they were in for Gelling before he signed a deal with Widnes. Widnes Vikings half-back Joe Mellor looks set to continue his career away from Widnes in 2019 in the event of the Vikings’ near-certain relegation from Super League with a number of clubs – including Toronto Wolfpack – interested in signing him, report League Express. After Widnes’ win over Halifax on Saturday, Francis Cummins hinted that clubs are already in contact with Widnes players in the likelihood of them becoming free agents at the end of the season. League Express understands Toronto are among the clubs interested in Mellor for 2019. Catalans Dragons coach Steve McNamara says star forward Kenny Edwards is signed to the club for 2019 and is going nowhere, report League Weekly. Ryan Hampshire looks set to be one of the most sought-after free agents in the off-season with his future still unresolved heading into the final weeks of the season, report League Express.